There is definitely a right and a wrong way to make a vegetarian loaf. You can use whatever ingredients you like, but I absolutely insist that you smother the top with an excessive amount of ketchup (or perhaps barbecue sauce) and it would absolute blasphemy not to provide gravy and mashed potatoes to go along. Lentil Loaf A classic vegetarian favorite, this is a recipe for a basic lentil loaf, made with rice and seasoned generously. Vegetarian Meatloaf A super meaty vegetarian and vegan meatloaf recipe, this one starts with store-bought Gimme Lean sausage and is topped off with a sugary sauce. It may be vegan, but it's a great option for those who like mock meats. 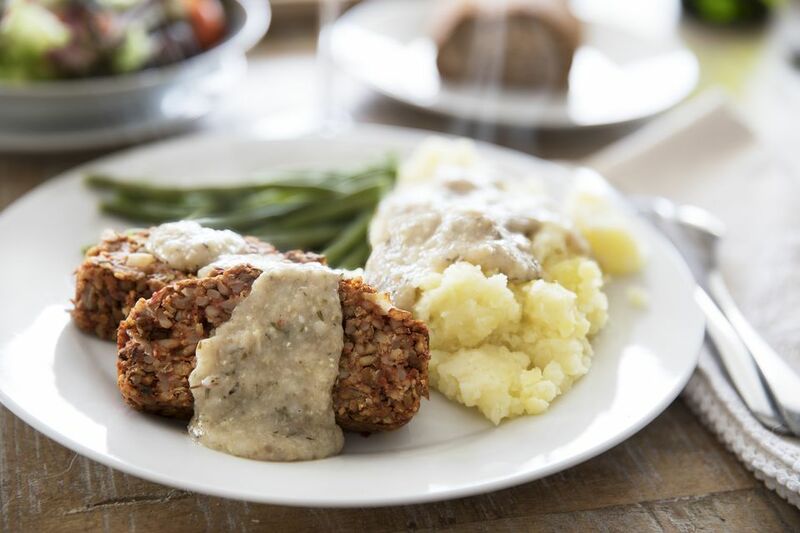 Vegetarian Meatloaf with GimmeLean Sausage This is another good vegetarian loaf recipe for meat and mock-meat lovers, since it's made with vegetarian "sausage" substitute. The recipe calls for an egg, but you can also use egg replacer to keep it vegan. TVP and Tofu Meatloaf A five-star user reviewed vegetarian and vegan meatloaf recipe made from tofu, TVP, spinach and onions. Don’t forget to top it with ketchup! Sloppy Joe Meatloaf A quick and easy veggie meatloaf using store-bought sloppy joe mix. Are you a vegetarian or vegan who likes meat substitutes? Here are a few more meat-free meat substitutes for vegetarians. Do you know what to do with TVP?